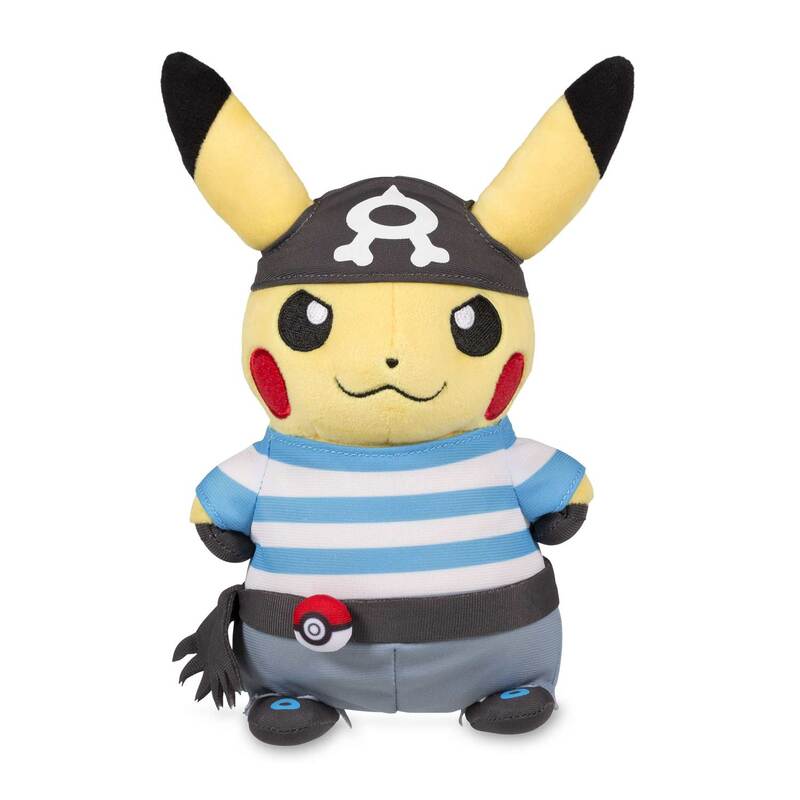 Pikachu in Team Aqua Costume Poké Plush (Standard Size) - 8 1/4 In. A Pikachu in a Team Aqua costume? 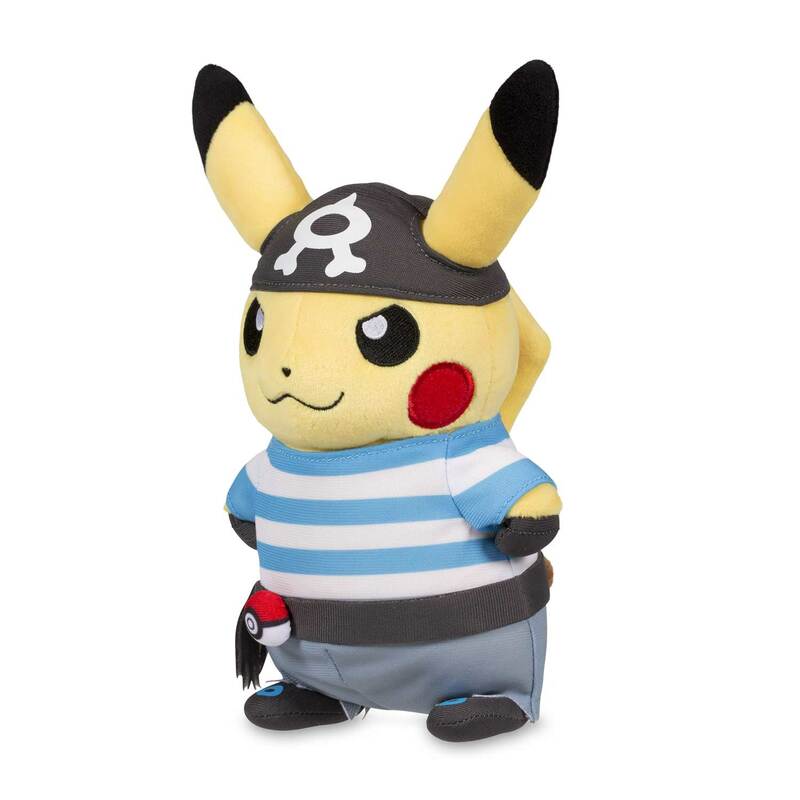 Woah, that's a little scary, but Pikachu looks great with the striped blue-and-white shirt, swashbuckler's belt, slightly evil embroidered eyes, and Team Aqua bandana cap. 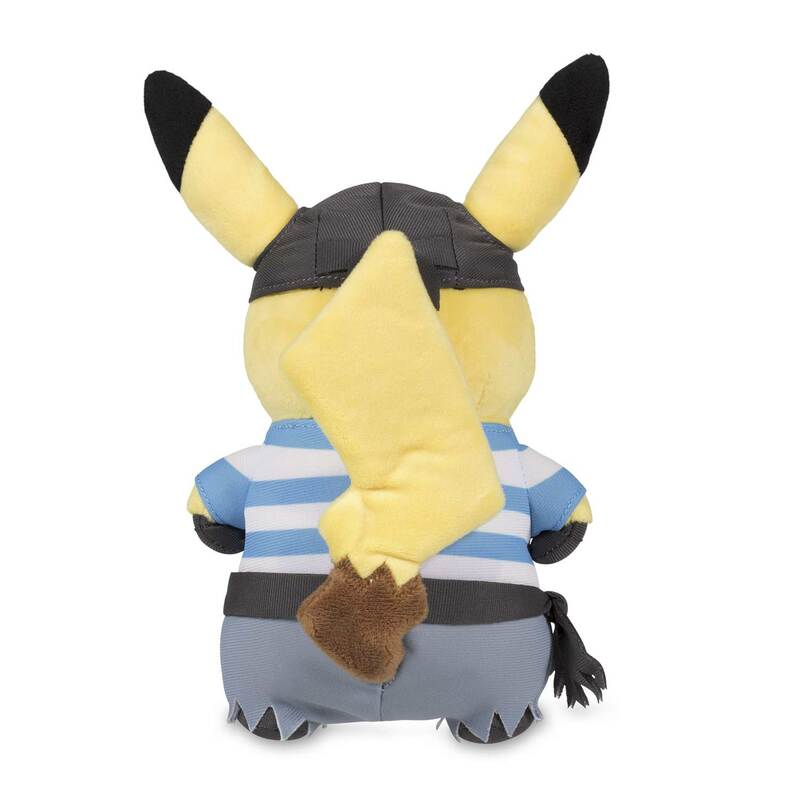 Can a Pikachu say "Yar!"? 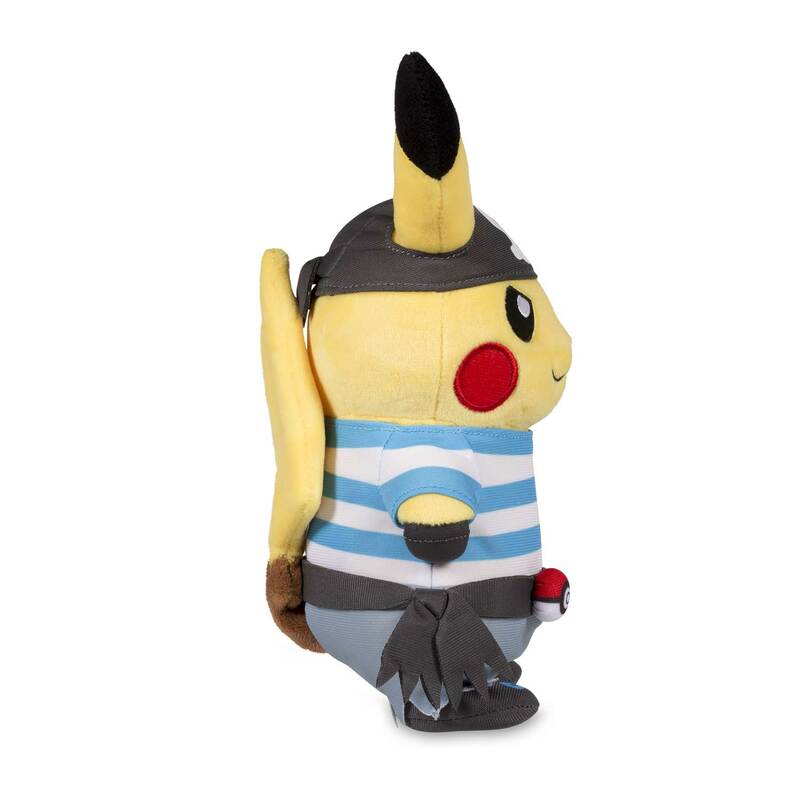 Has a Poké Ball on its belt—to capture other Pokémon for Team Aqua! 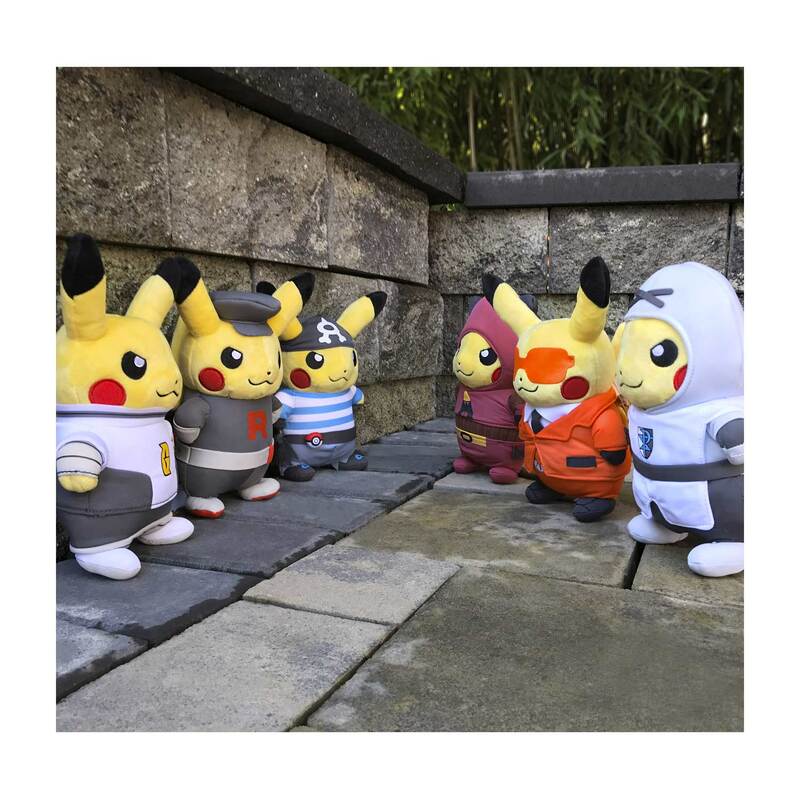 This Pikachu plush is shown here with other Pikachu plush for display purposes only—other plush sold separately.